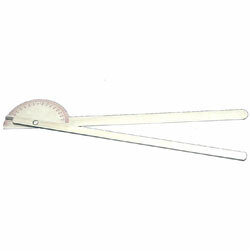 Model J00225 14 inch Goniometer has two 180° scales that read in opposite directions. Scales are marked in 1° increments. 14 inches long. Stainless Steel.